I have been working hard with my colleagues on improvements to Wingates Park. Because of this hard work, I am happy to announce that the Neighbourhood Services team are assessing the park for repainting to make sure the facilities continue to look good and aren’t blighted by graffiti. 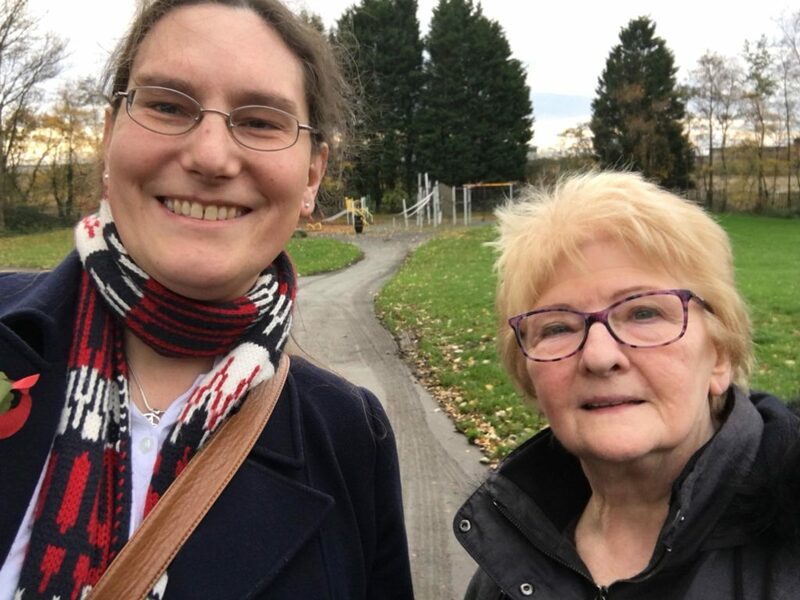 Cllrs Zoë Kirk-Robinson and Christine Wild at Wingates Park. We are also working closely with the Beelines programme (I’m led to believe this is now called The Bee Network programme due to an issue with another group using a similar name) so we can try to get lighting in the park installed as part of the drive to ensure people can walk and cycle safely; which also means it will be safe to use the park’s facilities on dark nights. That’s your local Conservatives working for you all year ‘round.